You guys know how much I love a good sale. I also love Madewell. 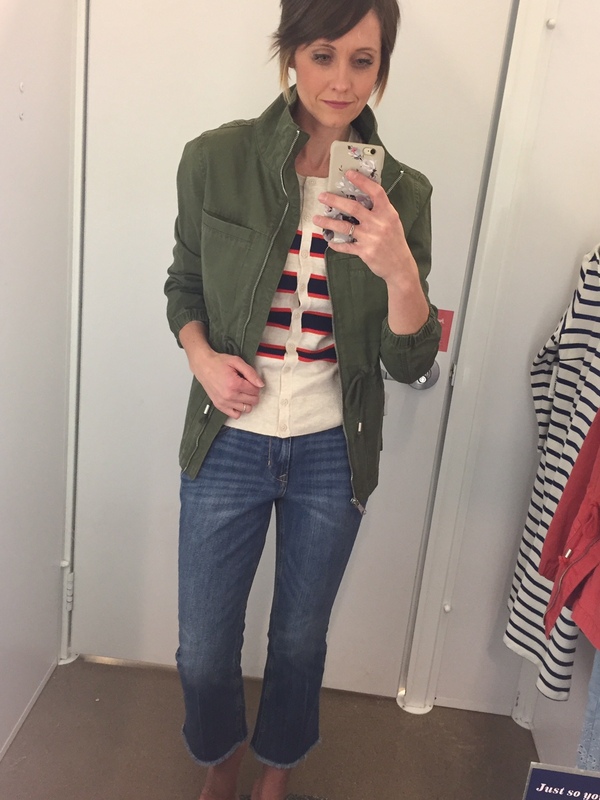 So when Madewell has a good sale…you get the picture. They don’t offer sales as often as I’d like, so when they do I try to take advantage! Madewell is a great place to turn for basics, but they offer some beautiful statement pieces as well, que this embroidered top. It’s bright and fresh and exactly what we all need coming out of winter! My exact tote isn’t included in the sale (such a bummer), but I love this hole punch version so much for summer! They also did the tote in a canvas which is perfectly casual and fun. I have this tee and can’t stop wearing it and I feel I’d do the same with this one. If you don’t own a great denim jacket or a striped t-shirt dress you should check them out below. Outside of some of their denim and the transport tote, the bulk of the site is included in the sale, so I’d recommend browsing and seeing what all you can snag using code NOTKIDDING to get 20% off of $100+ or %30 off of $200+. Oh and let me know what you find because I always love hearing! Although my brother, the hunter, would likely give me a smirk, I’m actually a fan of camo. Dare I call it stylish, he’d probably laugh in my face. That or inform me that he’s been on top of that for years ;) Just as leopard has been a popular choice as a neutral print, I’d venture to say camo falls into a similar category. 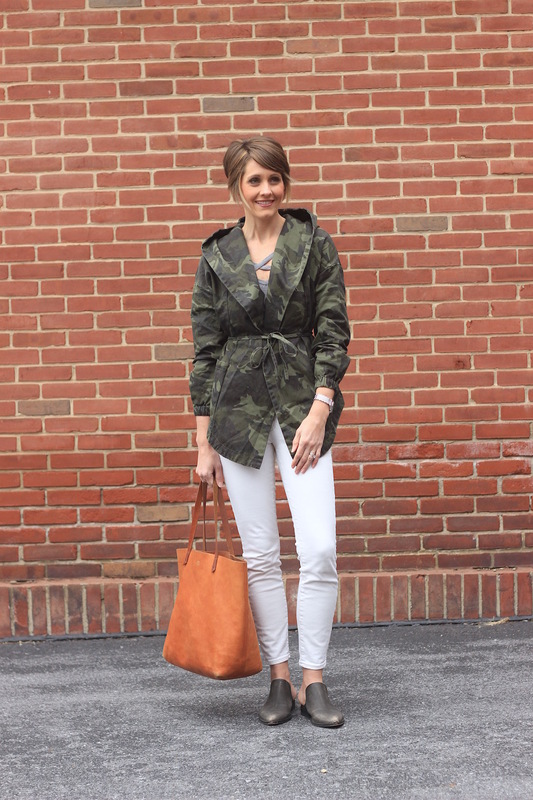 I think it looks chic on this shawl collared jacket that makes a perfect spring layering piece. I also love how it’s used in pastel on this jacket and this moto style that I have shared before. It’s not only great on jackets though, scroll down to see some of my favorite pieces in the camo department! 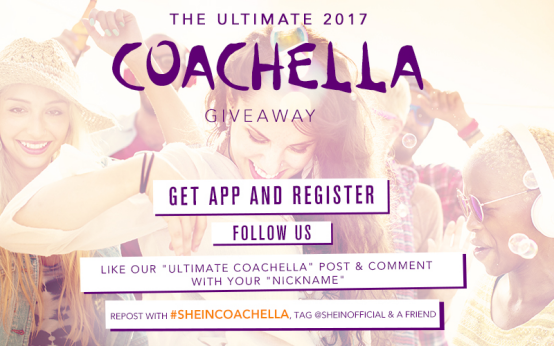 Also check out how you can enter to win a trip for you and a friend to Coachella, courtesy of SheIn! Details below! It’s still quite chilly around here but the sun has been shining! Although I see rain over the next few days, so out come the goulashes, again! It’s funny how much weather dictates our outfits isn’t it? Any time I try to fight it, I typically end up on the losing end! I’m a sucker for a cute sweatshirt. I love when I can wear them to lounge around home with sweats or pair them up with denim and sneaks. I probably could have pulled off booties as well if I had wanted to. This particular sweatshirt comes in a bunch of colors, is lightweight and lays really nicely. Oh, and it’s pretty much a steal ;) Scroll down to check out some of my other favorites! 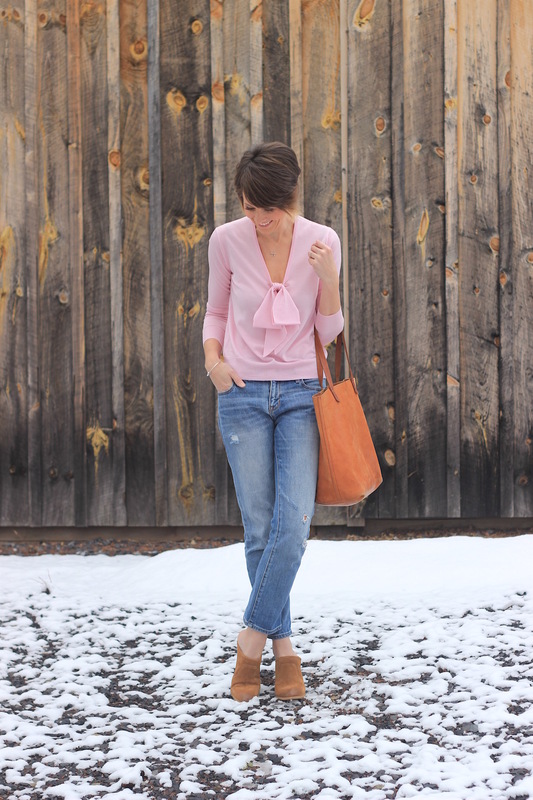 I’ve been brainstorming this post for a few weeks now, and since it’s officially spring (YAY! ), I figured it was time to get it out the door! I’ve had a number of discussions with women revolving around the topic of wardrobe capsules and we’ve touched on the topic on here in the past as well. I love the idea of paring a wardrobe down to 30-some pieces and mixing and matching from that. The idea is to work around your basics and pieces you already own and then to add in a handful of new items that may be trending for that season to complete your capsule. With a wardrobe narrowed down like this, the goal is to be able to dress from all pieces that you love at a moments notice. Sounds ideal right? Don’t worry, you don’t need to purge your entire closet, but it would help to do a big clean-out and then have your capsule front and center for the season. For those of you that struggle each and every morning deciding what to wear, this concept should be right up your alley! Jump below the (clickable) image for more on this topic. I’ve been hunting and gathering and tweaking over the past few weeks to put together a cohesive capsule that would fit the lifestyle of a range of women. I can see this working for stay at home moms or anyone who leads a semi-casual lifestyle. I played with trends but didn’t include anything that I didn’t think would work in the next few seasons as well. Stripes are big, but always will be. 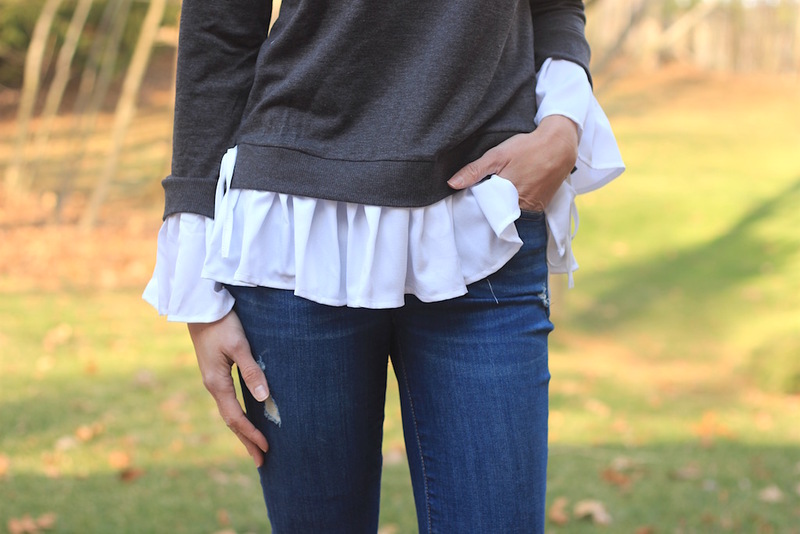 Ruffles are also having a moment, but in my book they never get old! I also picked pieces that would easily pair with a range of other items I found. I included three dresses and two skirts that could be worn to work, church, showers etc. 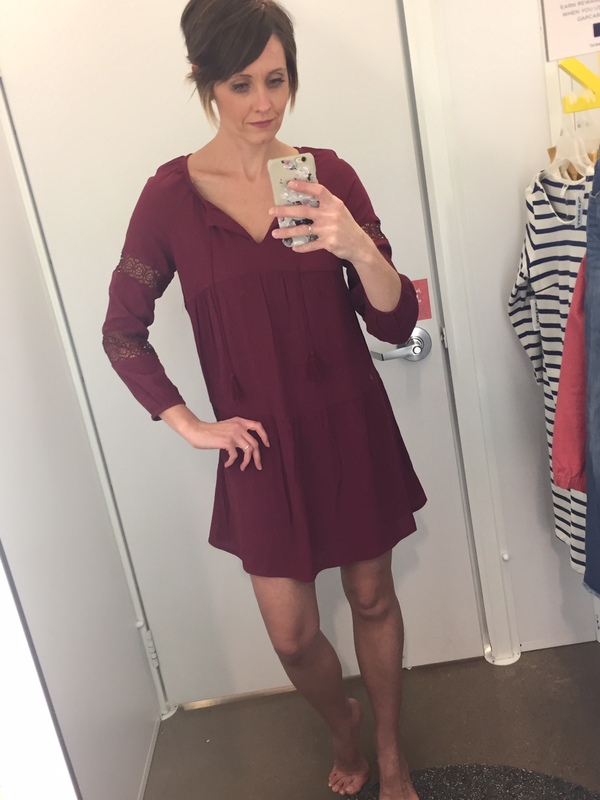 I also picked options that offered enough versatility so that friends and co-workers wouldn’t start eyeing you up a week into dressing from your capsule ;) Take this dress for example. 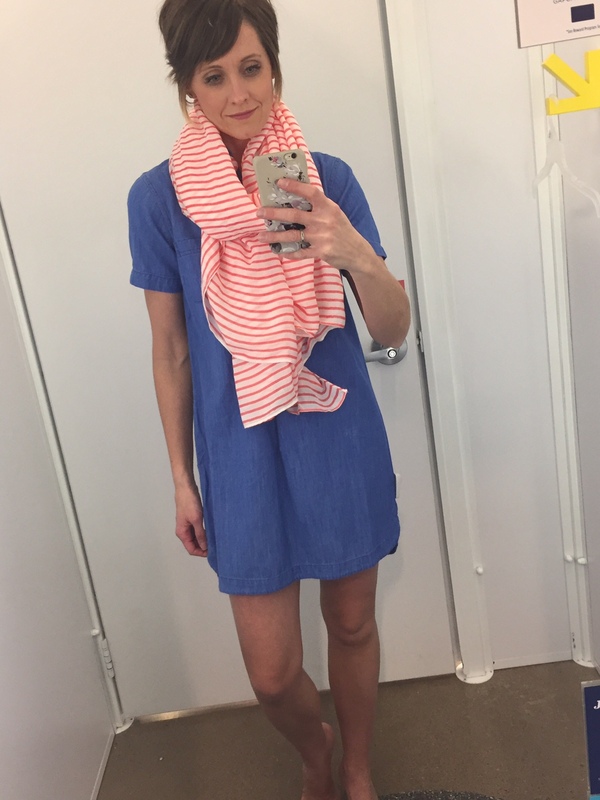 I have it in coral from last year and I can wear it with a jean jacket such as this one, or a draped number like this, or once it warms up a bit more with a scarf such as this. Also, switching up your bag from this to this takes the look up a notch instantly. Let’s walk through one more example. I love the ruffle detail on this tank. 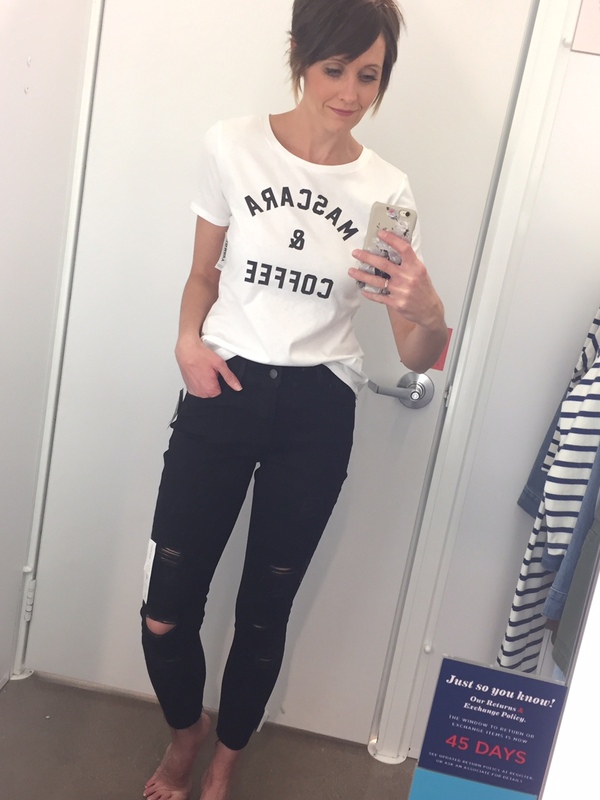 Picture wearing it on the weekend with these distressed jeans and sneakers. 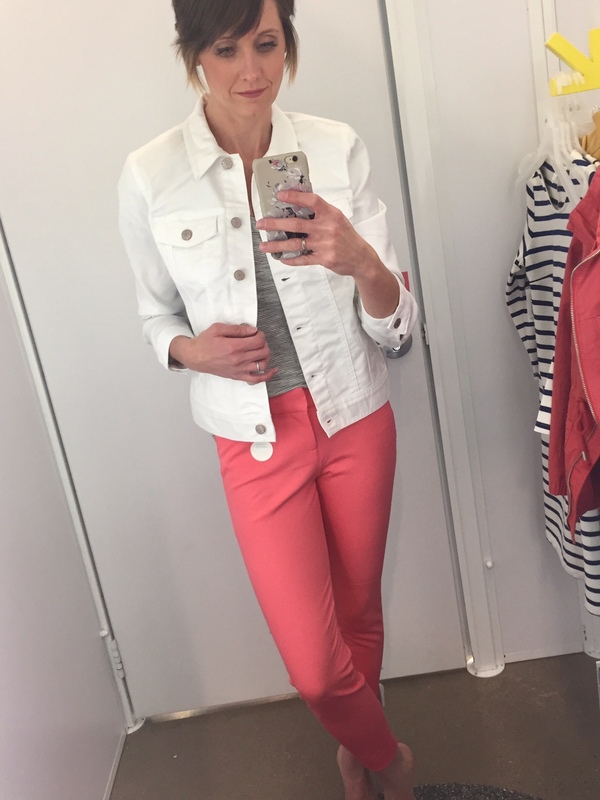 Or wearing it to work with these pants and this jacket (in pink). You could also switch it up with a denim skirt, these mules and a fun necklace. Are you starting to see how these 36 pieces could get you the whole way through spring?! 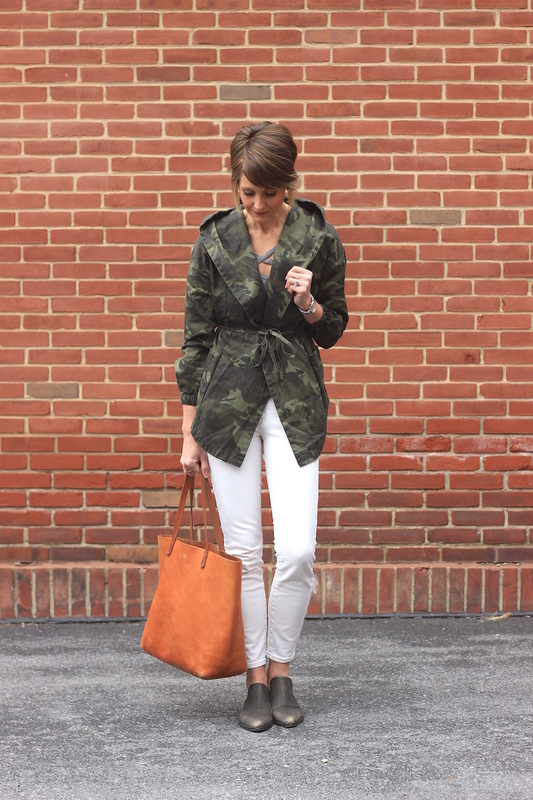 Obviously I had to include a pair of Hunters and a trench because it is spring after all. I also made sure to have a pair of sweatpants (favorites of mine) and a sweatshirt in a fresh hue because I’m keeping this wardrobe thing real ;) If you want to add a second pair of sweats, I won’t judge! 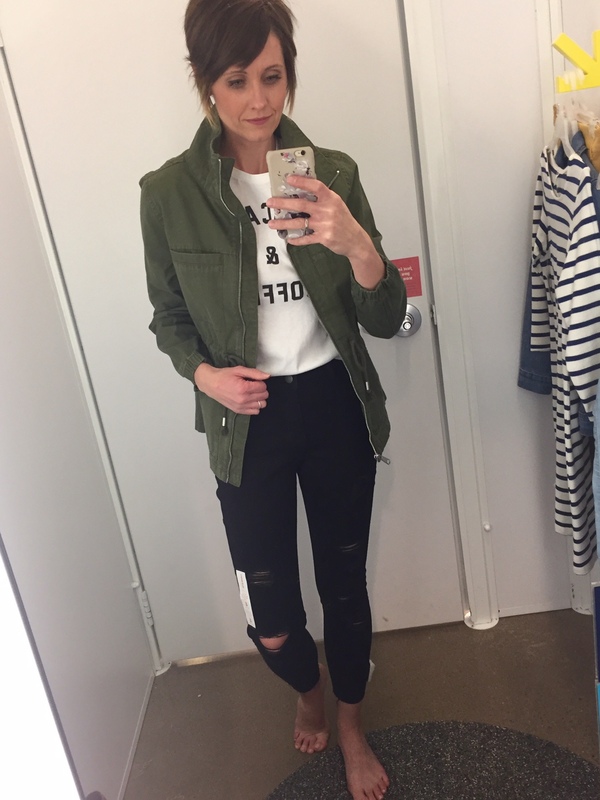 All of these items are shop-able (click the images above), but the real point is to work through your closet, pull out things you love that would work well for spring and then fill in any missing gaps! I’d love to hear your thoughts on this topic and find out if you’ve ever tried it or think you may want to give it a shot! 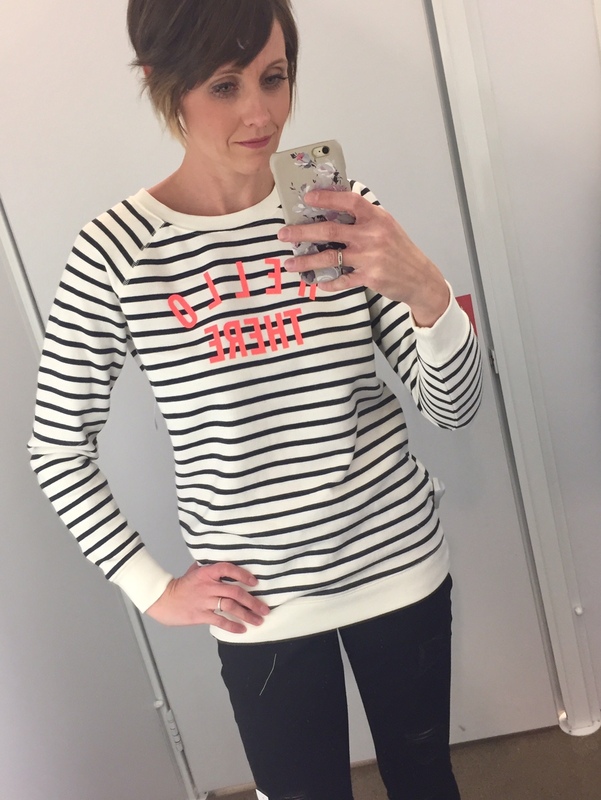 As soon as I saw this adorable, light-weight sweater at JCrew, I knew I loved it. I wasn’t willing to pay full-price, but it finally went on sale and it’s still fully stocked in three colors! As soon as it arrived I had visions of pairing it with my pink pants (which are a few shades darker) and suede strappy sandals in taupe. But since we continue to get fresh blankets of snow here, those visions will be on hold for the moment! To give you an idea how versatile this sweater can be, I paired all three colors with a variety of bottoms that you can check out below. 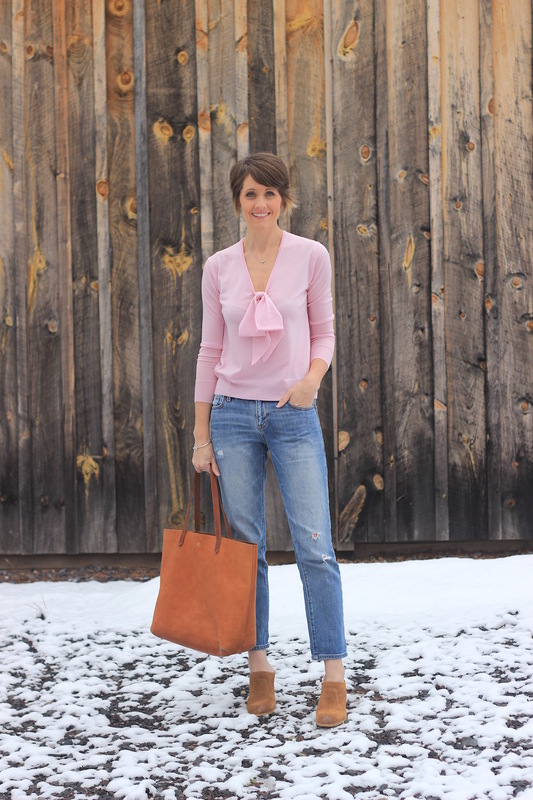 I only took the time to skim through JCrew, so you can imagine the possibilities you could also find elsewhere ;) JCrew is offering an extra 30% off your order at the moment with code HAPPYSPRING, so it’s a great time to browse some of their new spring arrivals! With winter storm Stella crashing the party this week (or maybe she created a party for some of you?! ), there was zero chance of me getting outside to do a shoot styling anything other than snow gear! Yesterday afternoon I had a chance to run my errands child-free (thanks Mom!) and some of you saw my shoe shenanigans at TJMaxx on Snapchat (mczerby) where I fell for four pairs of shoes! Only two came home with me, but seriously it took me a good half hour to say goodbye to the others, lol! My advice to you all is to get in to your local store, because if it’s anything like ours, it’s stocked! I love this look, mainly for the color combo. 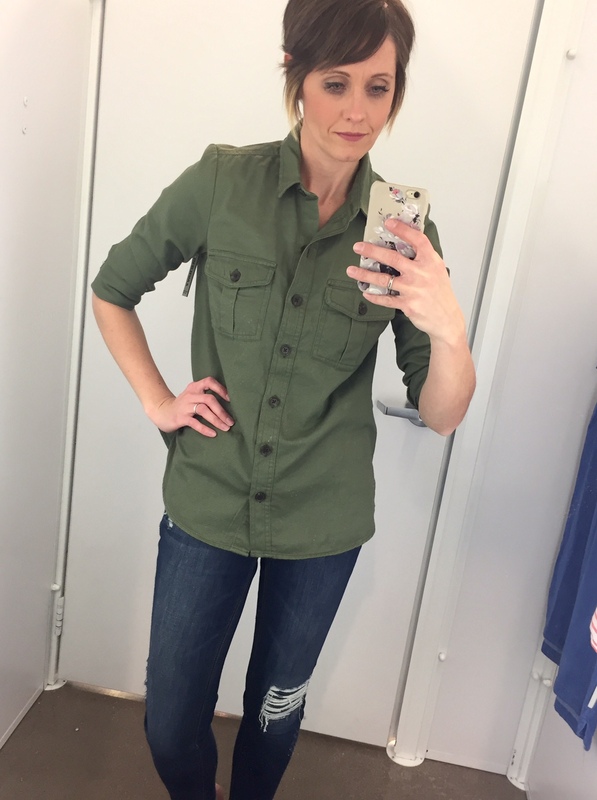 The top is adorable and fantastic for spring, as is a jean jacket. If you need one, I really liked the quality of this one. I liked the pants, but these ran big. One size down would have been perfect. Everyone needs a handful of graphic tees and this one is adorable! The denim ran true to size and I was happy with the fit. They are similar to the frayed jeans I just got from LOFT but with the addition of distressing. I threw on their field jacket to complete the look (a scarf would look cute too). It’s similar to this one that I have but it comes in a bunch of colors, you should definitely check out! See below where I’m wearing the pink/coral-ish version. Outside of having a jacket similar to this one, you could also benefit from having stripes, lots and lots of stripes, in your closet. 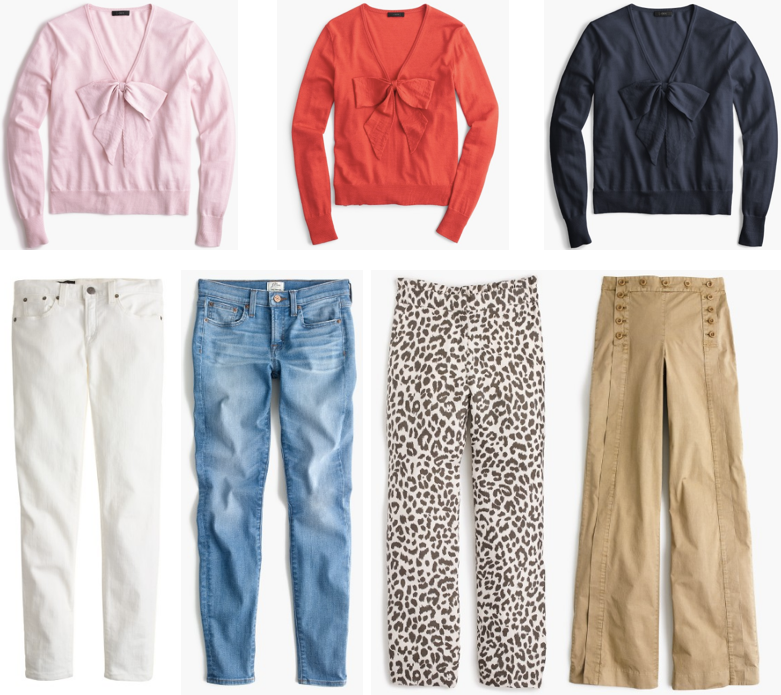 They add so much interest to an outfit and allow one to mix and match with colors and prints throughout the season. This dress is a perfect example! I know this shirt isn’t anything fancy, but I love it. The fit, the quality, the style….it’s on my wishlist for sure!! I could throw heels and a necklace on for a date night or sneakers and a scarf for everyday. It also comes in denim which I didn’t try on but the material felt even softer. 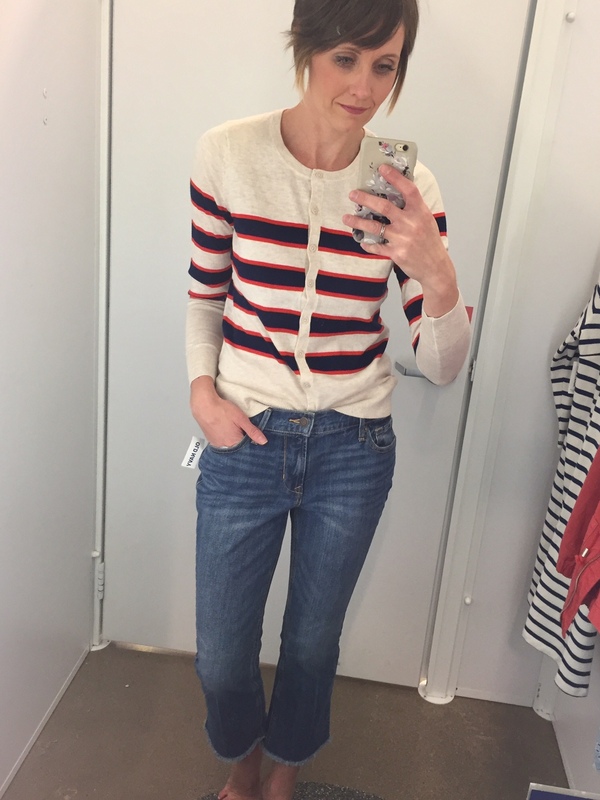 I love this striped cardigan. 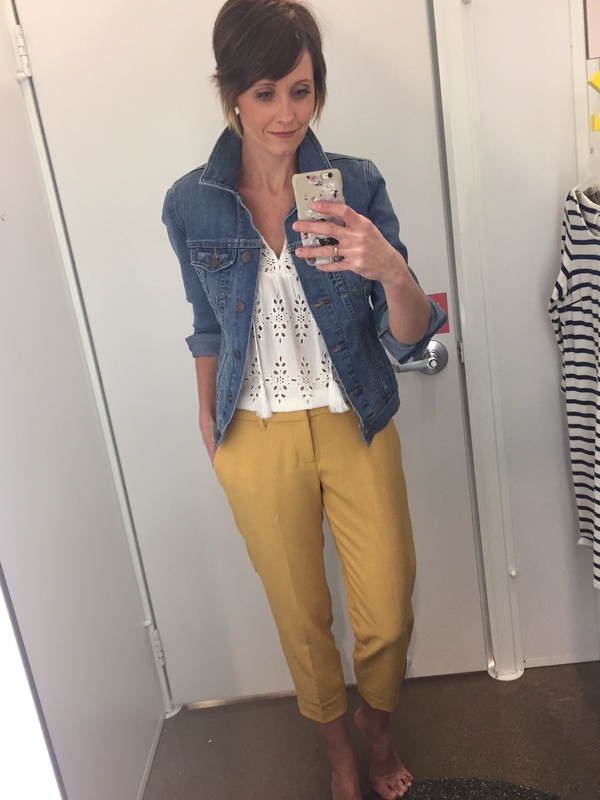 Although you could dress it up for work with some read or navy pants, I tried it here with these cropped jeans. I liked, but didn’t love the fit of the denim. If any of you struggle with the back gapping, they might be iffy for you (as they were for me). But I do love the look! I threw on this jacket again to complete the look. 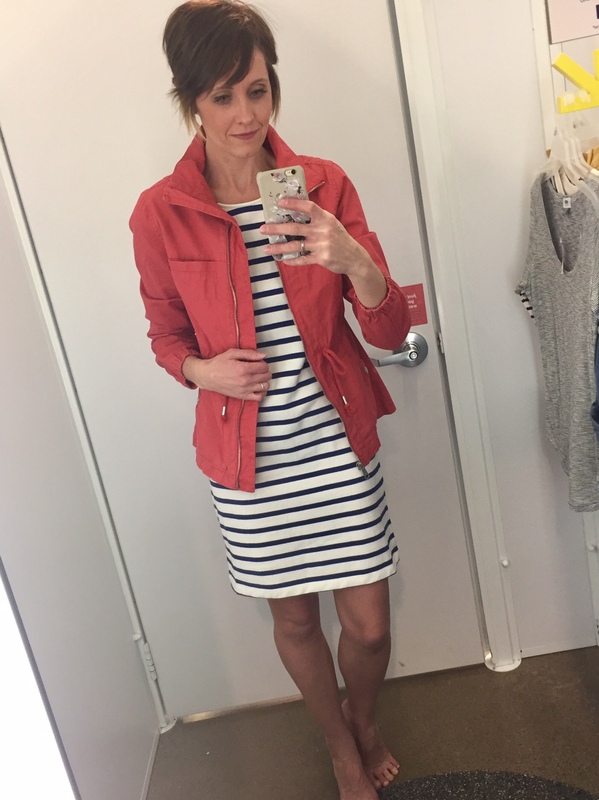 This preppy little dress, however, was right up my alley! 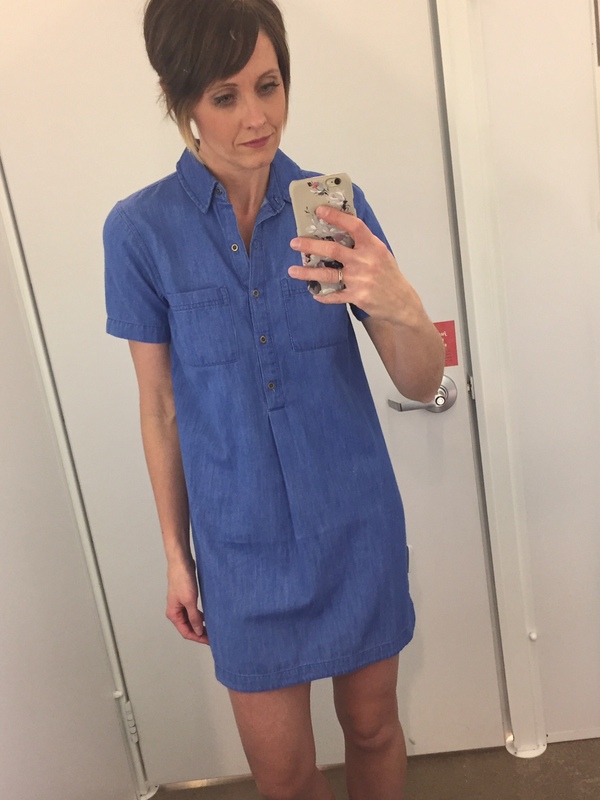 If you don’t have a denim shirtdress for spring you should certainly check this one out! I’d likely throw a scarf over it such as this one and pair it with a cute pair of booties! And finally this cute sweatshirt. Fun and friendly, perfect for wearing out or lounging around in! It has a little extra length to it which I liked. Thanks for reading along! I hope everyone is dug out (those in the northeast at least) and ready to jump into the weekend! I know I am ;) Have a great one! Mules just may be my favorite style of shoe at the moment. That is, if we could dig ourselves out of #winterstormstella and actually wear something other than snow boots! 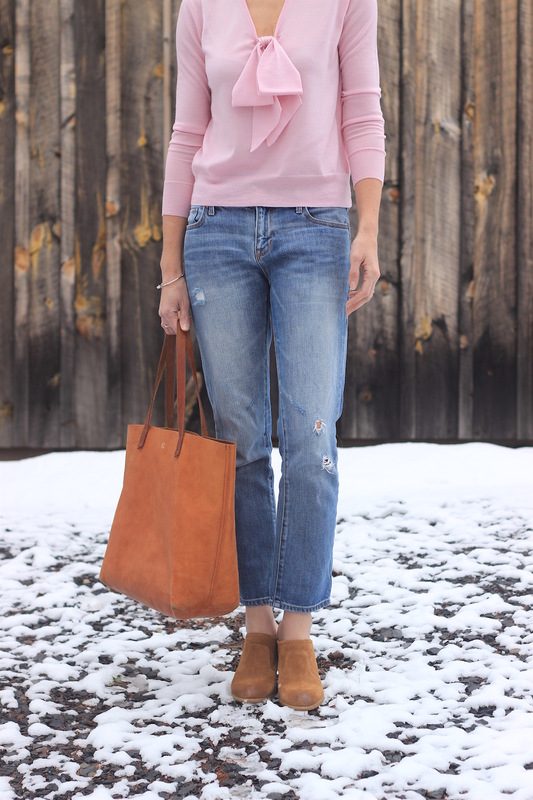 I love mules though…being able to put on my shoes without using my hands (which are typically full of children, bags, coats, waters and snacks) is a dream come true! Similar to a bootie, but exposing a little more skin and making them all the more chic ;) Their popularity is drastically growing and you can find just about any style of mule you’re looking for these days. I love this classic, wear with anything style, this fringed beauty, this perforated pair, these pink pretties, and this lady-like style. Another perk is that they’re typically very comfortable. If they aren’t flat then they probably have a block heel which gives you some height without any discomfort. I feel like my mule wardrobe is only just getting started! Do you guys wear them? Which styles are you most drawn to? I don’t hate winter. I really don’t. I also realize that it technically still is winter. What I don’t handle well, however, is getting a rather large dose of spring-like weather only to have mother nature turn around and slap us with a snow storm. That’s just rude! But since she is the one that determine’s my #OOTD, it looks as though I’ll be pulling out my sweaters again this week. My daughter has been dying to make another snow angel though, so I won’t hold a grudge. Promise. Let’s look ahead though, to the days we’ll be able to expose our ankles once again! I’ve had this bandana in my closet for a while and I break it out every so often. I love seeing bandana’s worn around the neck, in one’s hair, or tied around a bag because I think they’re such a fun accessory. It’s a bonus that they’re relatively inexpensive too! I’m rounding up some of my current favorites for you to check out below. I love this classic one, and this paisley one is a beauty too! What do you think about them? 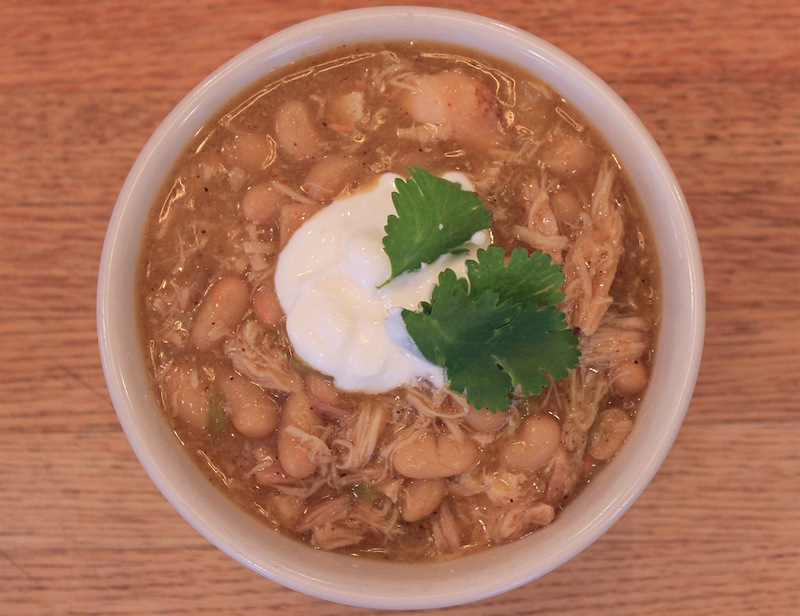 Love them, hate them, thinking you could try it? When it comes to simplifying outfits, I’m all in. I love when I come across tops that lead one to believe that I’ve nailed a layered look, when in fact, it’s all one piece to begin with! Bonus points, when the layers include ruffles, such as this one. I also came across this one that I adore because of it’s soft colors and plaid contrast. And this laid back number, I could probably wear everyday! Also, since the the temps are starting to creep back up (I say this with snow currently on the ground, lol), mules are back on the forefront of my mind. Well, after my husband and kids and those sorts of things ;) I’ve been hooked on them since last fall and can’t seem to turn back. The slip on deal is honestly what won me over, but the fact that there are so many variations means there’s a pair for basically everything. I think we may further discuss this topic next week!